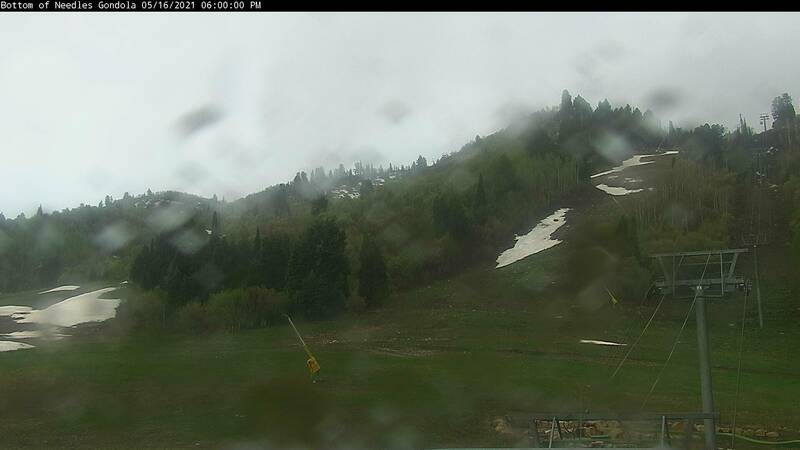 With ten inches on the snow stake and more coming down, it seems like even Mother Nature was celebrating Snowbasin's 75th birthday this weekend! 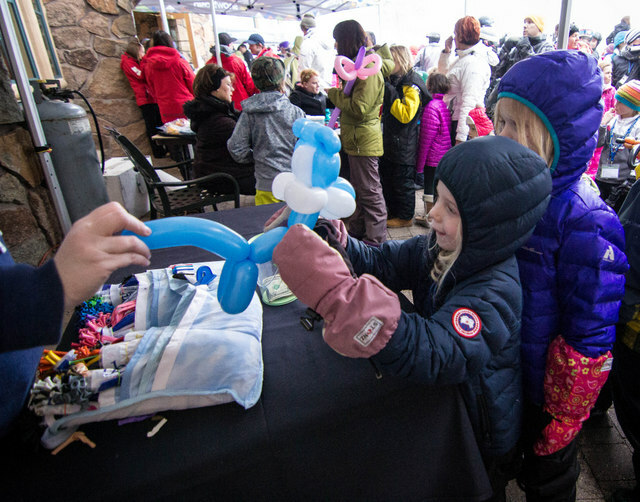 In case you missed the memo, Snowbasin Resort threw a huge party on Saturday afternoon, marking the 75th year of the ski area. 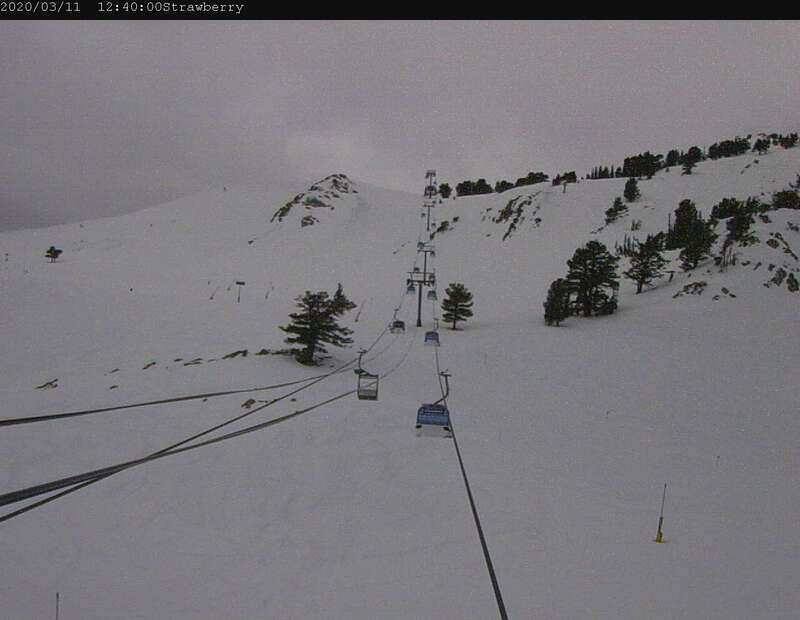 The weather even cooperated! 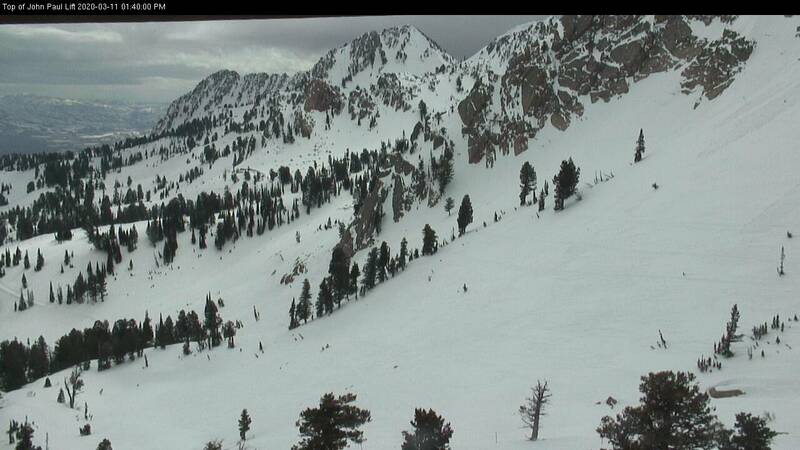 What meteorologists had been calling an “atmospheric river event,” was hitting the area. 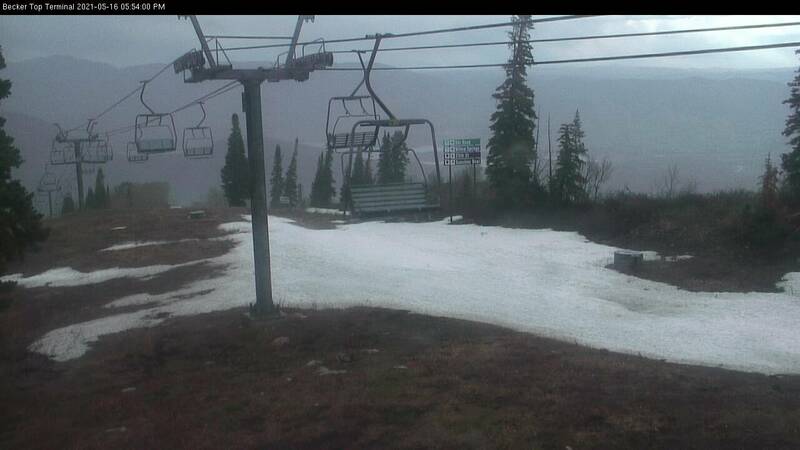 I just like to think of as mountain confetti. Lots of it. The celebration kicked off on the patio of Earl’s Lodge with a 650 lbs. cake, complete with sparklers and two versions of the Happy Birthday song! Music, both on the patio and live music in the Cinnabar, completed the fun filled atmosphere and energetic crowd. 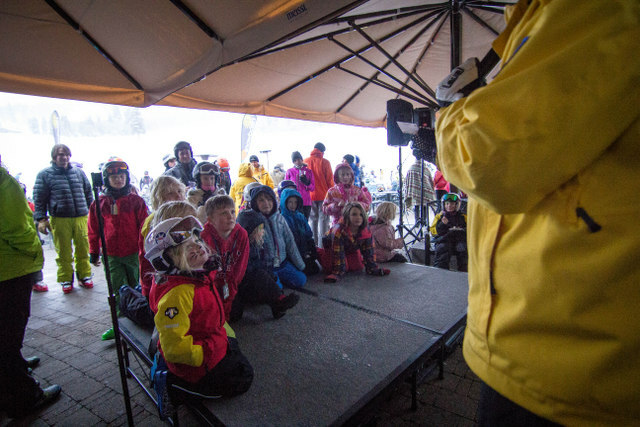 Due to cold temperatures, we snagged a table indoors as home base, and then the kids dashed off into the festivities. First up: Balloon animals and face painting! Vendors offered free balloon animals and face painting during the party, and believe me, these were some of the most talented face painters I’ve ever seen. 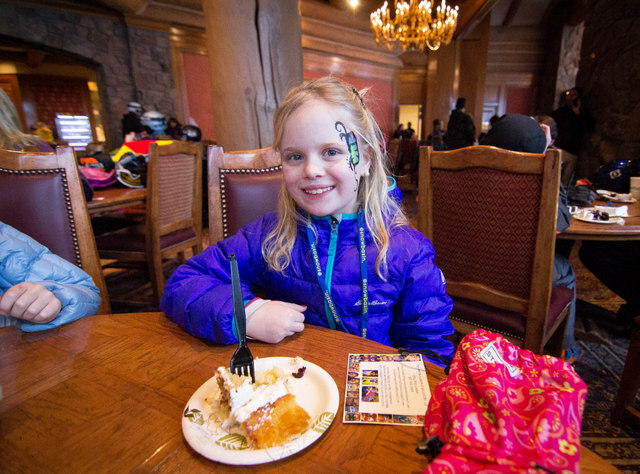 Next, cake, more cake, s’mores, and hot chocolate! 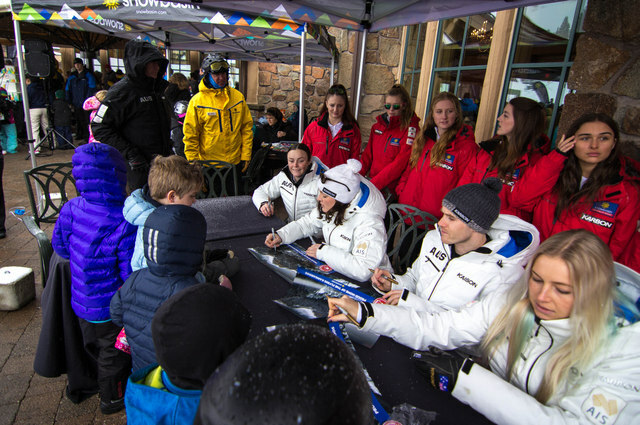 The kids received autogrpahed posters from the Australian Aireal Ski Team who were there to join in the festivities! 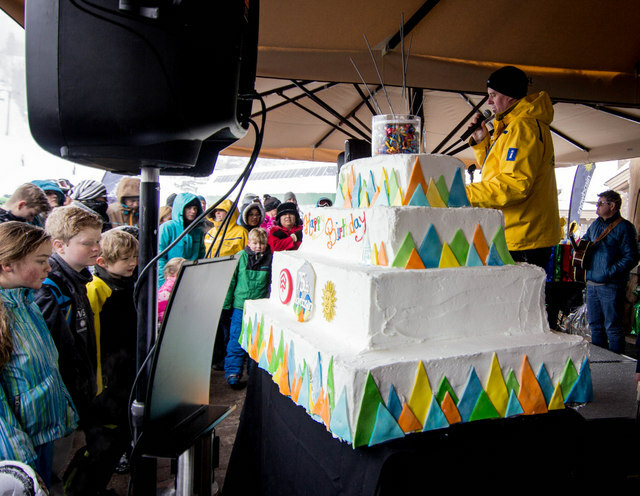 Snowbasin did a fantastic job making sure there was cake for everyone, including your choice of vanilla, chocolate, carrot cake, and what appeared to be red velvet cake. 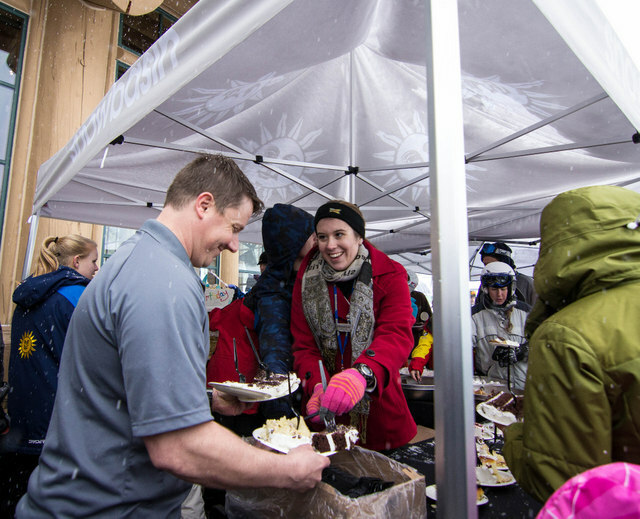 Free hot chocolate and make-your-own s’mores were also offered. Our kid’s favorite part? 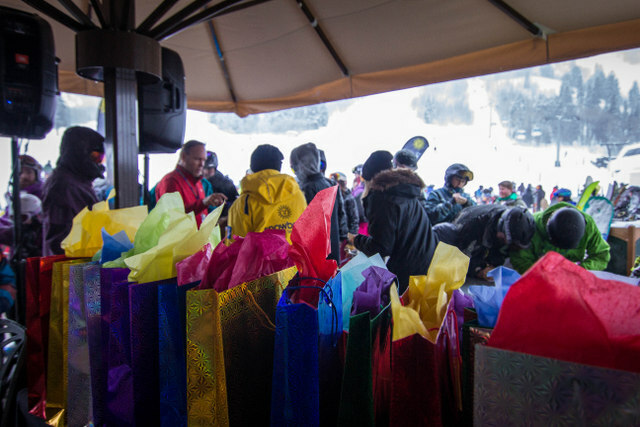 Snowbasin raffled off “Birthday presents” every five minutes during the entire duration of the party! My kids were front row enthusiasts! And dad even scored a new helmet. 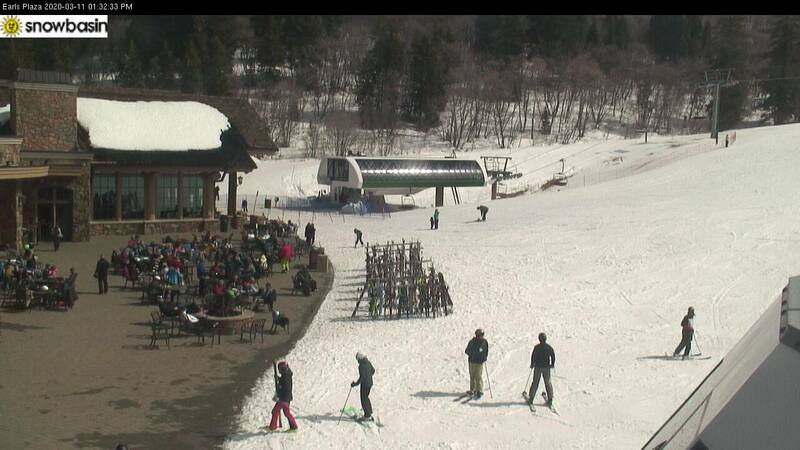 Thanks Snowbasin! Finally, the sun set and it was time to wrap up the festivities. We enjoyed a dinner of pizza and chicken fingers at Earl’s lodge while we waited for the torchlight parade and fireworks. 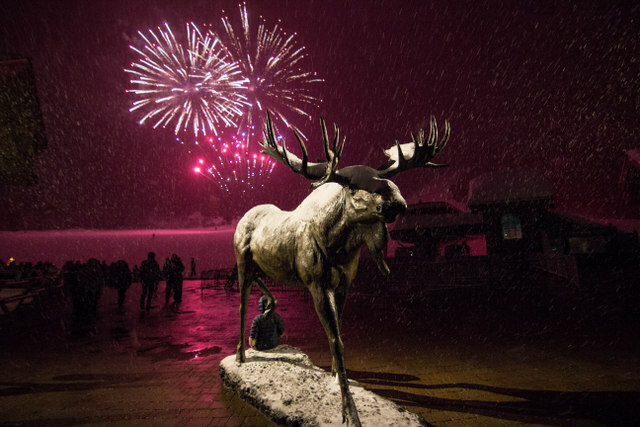 The evening ended in style, with fireworks lighting up the thousands of flakes falling on our favorite ski area. 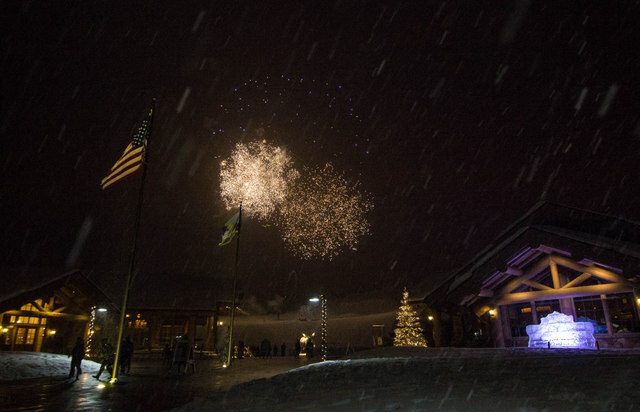 Congratulations to Snowbasin Resort on a wonderful 75 years and a magical celebration for all its visitors!